جهت دانلود کتاب Sufism in Central Asia Handbook of Oriental Studies با ما مکاتبه کنبد. کتاب Sufism in Central Asia Handbook of Oriental Studies پس از واریز هزینه ارسال میشود. ایبوک 9789004367876 در آرشیو گیگاپیپر موجود است. 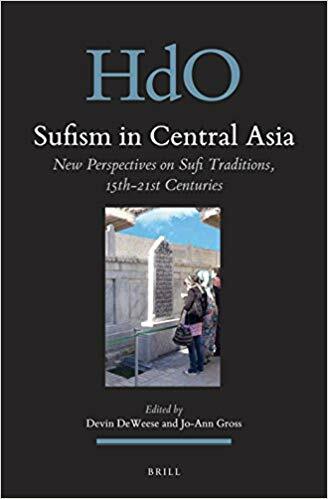 Sufism in Central Asia: New Perspectives on Sufi Traditions, 15th-21st Centuries brings together ten original studies on historical aspects of Sufism in this region. A central question, of ongoing significance, underlies each contribution: what is the relationship between Sufism as it was manifested in this region prior to the Russian conquest and the Soviet era, on the one hand, and the features of Islamic religious life in the region during the Tsarist, Soviet, and post-Soviet eras on the other? The authors address multiple aspects of Central Asian religious life rooted in Sufism, examining interpretative strategies, realignments in Sufi communities and sources from the Russian to the post-Soviet period, and social, political and economic perspectives on Sufi communities. Contributors include: Shahzad Bashir, Devin DeWeese, Allen Frank, Jo-Ann Gross, Kawahara Yayoi, Robert McChesney, Ashirbek Muminov, Maria Subtelny, Eren Tasar, and Waleed Ziad. Devin DeWeese, Ph.D. (1985), Indiana University, is a Professor of Central Eurasian Studies at Indiana University. His publications on the religious history of Islamic Central Asia include Islamization and Native Religion in the Golden Horde (Penn State, 1994). Jo-Ann Gross, Ph.D. (1982), New York University, is Professor of Middle Eastern and Central Asian History at The College of New Jersey. Her publications on Sufism and shrine culture in Islamic Central Asia include The Letters of Khwaja ?Ubayd Allah Ahrar and his Associates, co-authored with Asom Urunbaev (Brill, 2002).